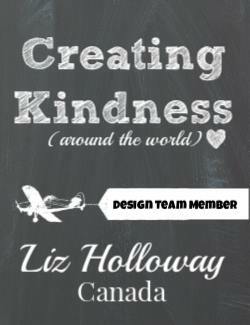 Oh gosh, what a honored to be asked as a Guest Designer for the Creating Kindness Design Team. 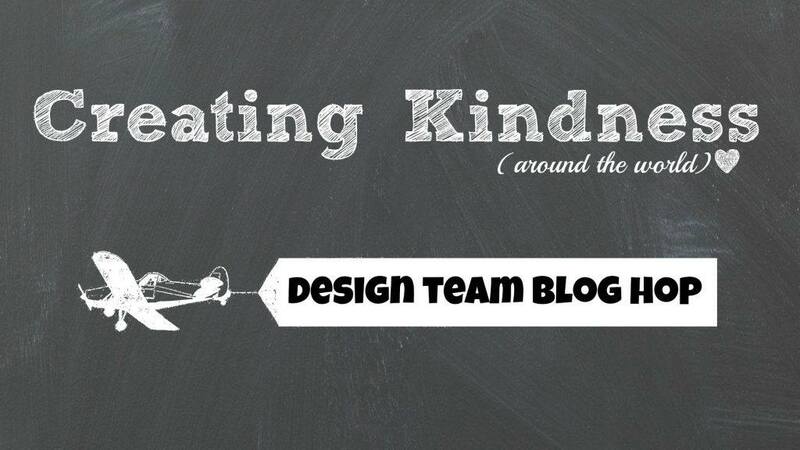 You are probably asking what is the "Creating Kindness Design Team" is all about. 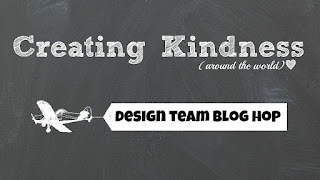 The Creating Kindness is a group of Stampin' Up! Demonstrators from around the world who have come together to inspire you to create kindness through card making and paper crafting. This month's theme is Seasonal Florals. As we all live in different parts of the world and we all have different seasonal florals. In Canada, our Seasonal Floral is our famous Pointsettas during winter time, but did you know that Hollies and Evergreens are part of our season florals too? Yes, they are. They are commonly missed because they are considered evergreens and not flowers. The Christmas Holly has red cluster of berries and are often used in our winter decors. Here is my take. I am using the At Home With You stamp set (#143681). 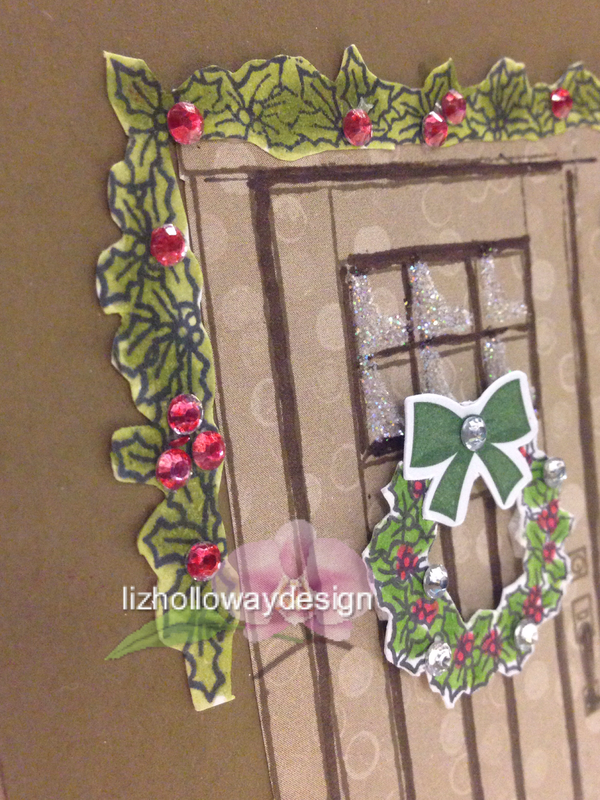 It comes with coordinating framelits called At Home Framelits (#143727), and I created a front-door like card. I didn't purchase the framelits and now kicking for not buying one when I had the chance as the bundle to save the extra 10%. So that means I am going to place an order soon for the framelits before it retires. Christmas is my favorite time of the year. All the evergreens and berries, and many more. The inspirations come from my home decoration as my front entrance is decorated like this but with out the garlands. 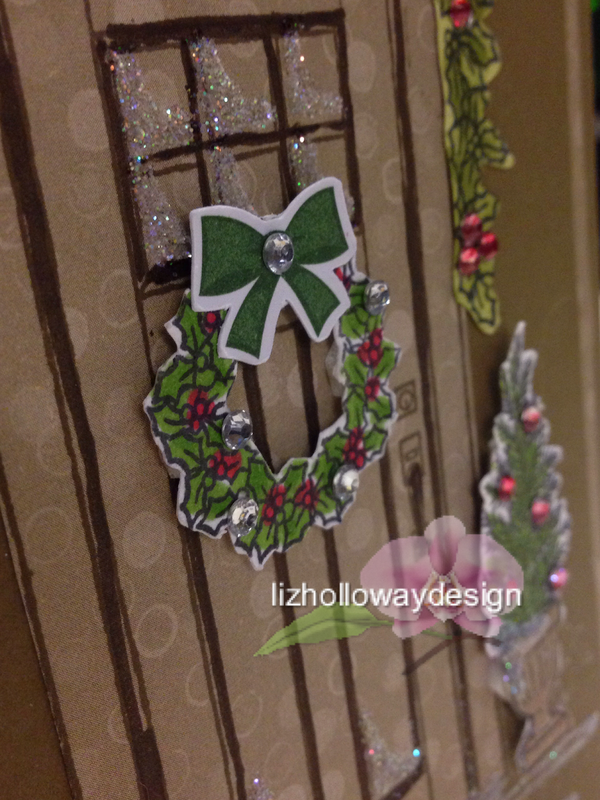 I saved the garlands for the inside. 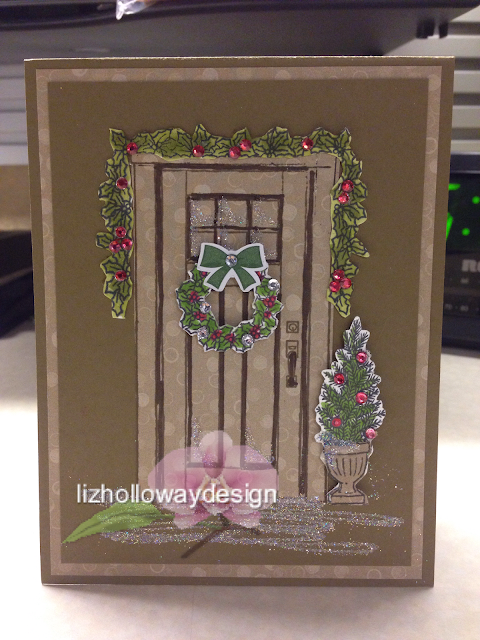 I stamped the door with Early Espresso ink onto remnants DSP and fussy cut it out. Then used the Early Espresso marker to outline the trims. 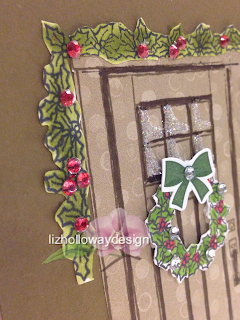 Where the windows are I use the multipurpose liquid glue to create the snowline. Then sprinkle with dazzling diamonds glitter. 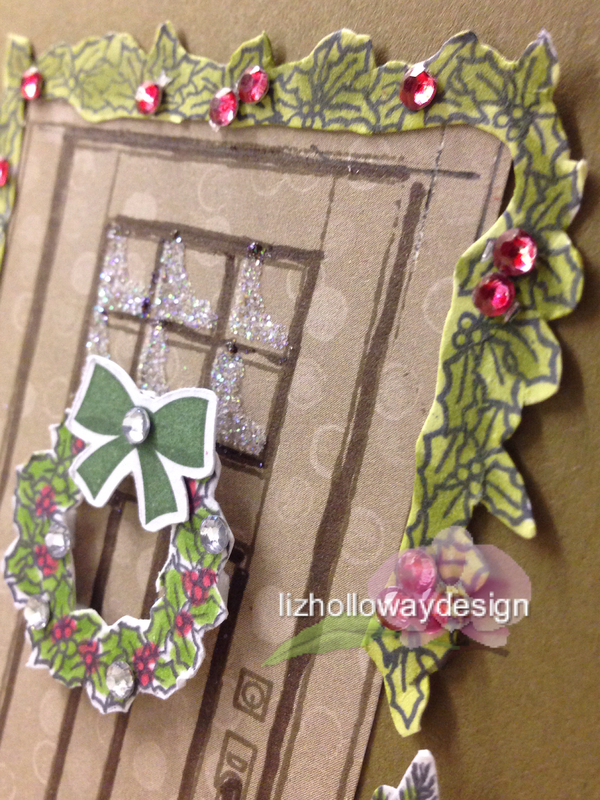 The garlands and the wreath are stamped onto remnants of whisper white cs, and colored the hollies with Old Olive blends, then I colored the basic jewels with the Real Red bends and attach them to the images. 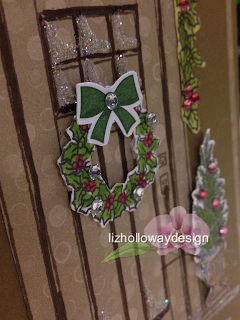 As I fussy cut these out, and I hate fussy cutting, I now ask myself, do I need it .... Heck yah! YOU NEED IT. You know I will be placing an order soon. 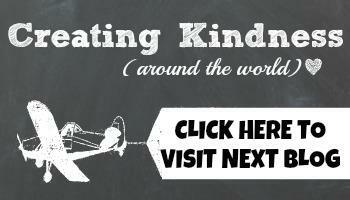 One tip for you ... purchase the bundle. It saves you 10% when you get them both. Don't wait until next year because the bundles are not available. They are sold separately. 4-1/4" x 11" Soft Suede cs, score at 5-1/2"
Next up on the hop is the talented Carolynn Sander. She is also in Canada, and I can't wait to see what she has created for us! 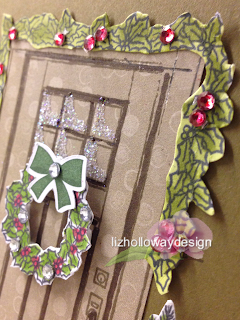 Thank you for sharing this wonderful card, Liz. And thank you so much for hopping with us.